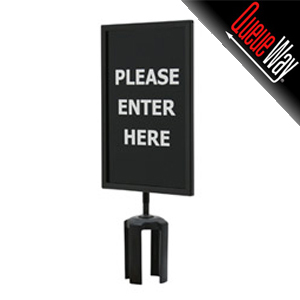 Crowd control stanchions are the standard element of any line queuing system. T-Barrier offers the complete line of Queueway belt stanchions that are designed to be both rugged and economical. We also offer Tensabarrier posts for customers looking for a long lasting, quality line queuing stanchion.